2011. RUSSIA. Near Sergeyev Posad. Dacha village of Smena. 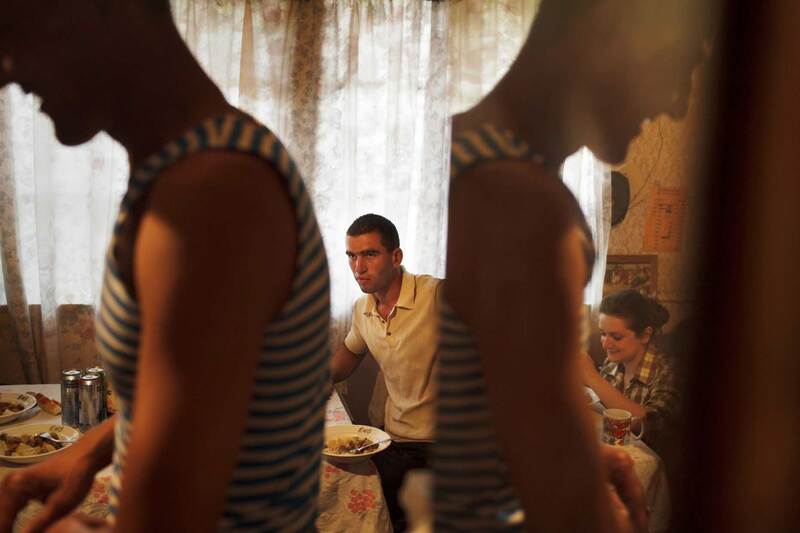 Guest workers from Tajikistan and local dachniks eat a meal together in the evening.